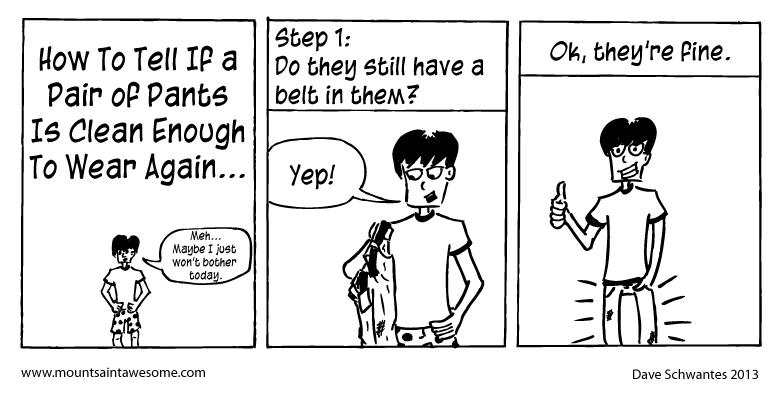 I hope this comic was informative and aids you in your future pants decisions. I'm still adapting to the whole black and white style and I'm working out what to fill in and what to leave blank. There's still a lot of whitespace in these comics, but I'm getting better at getting the effect I want. I debated for a while about whether or not I should fill in the pants and if so how should I do it. In the end I just added some dirt and I think it looks fine.